A wheel alignment service probably isn’t something that you think of when it comes to the usual maintenance for your Honda, but it is an important aspect of your car’s health. A wheel alignment is the adjustment of your Honda’s suspension to allow your tires to operate optimally, as they’re designed to. An alignment refers to the position of the wheels of the vehicle in relation to each other and the ground. Proper wheel alignment is very important because it will help to increase the lifespan of your vehicle. Good wheel alignment results in better fuel mileage and it increases tire life on both the front and rear tires. Periodic alignment equals less strain on steering and suspension parts, increased directional stability, and easier steering. You’ll get a better, more comfortable ride, and most importantly, safe driving. If you think your vehicle may be in need of an alignment job, schedule service online or just bring your car to Hillside Honda located at 1390-07 Hillside Ave., Jamaica, NY 11435. Is your steering wheel is not centered when you are driving straight down the road? Do you have to hold the steering wheel a little off-center in order to keep driving straight? Does your car, truck, van or SUV pulls to the right or left when driving? Do you have abnormal tread wear on your tires? Our Queens, NY alignment service center can save you more on auto maintenance when you take advantage of our online wheel alignment special. 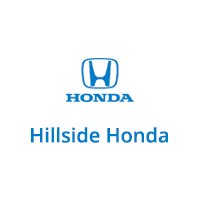 Hillside Honda performs alignment service on all make and model cars using the latest state of the art equipment. We are one of the premier auto service facilities in the Long Island, Brooklyn and Manhattan areas. Our customer service is second to none and we offer one of the best selections of genuine Honda parts in the region. Click here to schedule your alignment service at Hillside Honda located at 13907 Hillside Ave., Jamaica, NY 11435.